Need service or repair for the GE Logiq S7? MedCorp offers one-time service options, service contracts that include preventative maintenance and a large in stock inventory of available ultrasound parts. Our technicians are among the best in the industry and are trained to fix and work on the GE Logiq S7. We also offer phone based support and Yahoo IM to our customers and are able to resolve many issues remotely. MedCorp also offers multi-lingual support in Spanish and Portuguese. The LOGIQ S7 with XDclear harnesses GE’s premier probe and platform technology to optimize image quality across virtually all patient body types – with speed and consistency. Not Sold on the GE Logiq S7? 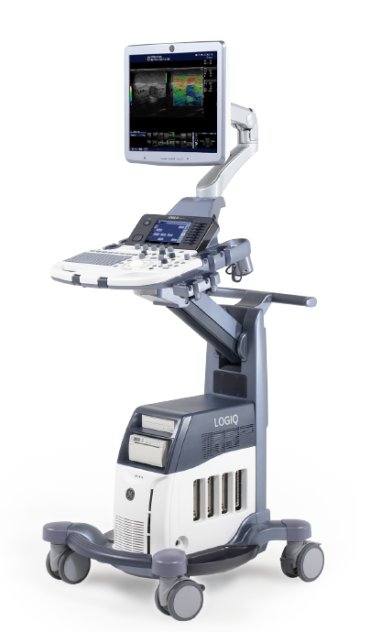 Schedule a free demonstration through MedCorp so you can see how well the GE Logiq S7 works as well as other comparable portable and stand alone ultrasound systems work. Our partner, Probo Medical, is a leader in the ultrasound probe industry with over 7,000 probes in stock. Be sure to check out its GE Logiq S7 Transducer Guide, which is searchable by application, probe name, and probe type!